Edinburgh is the capital of Scotland, home of the Scottish Parliament and one of the United Kingdom's most important cities. 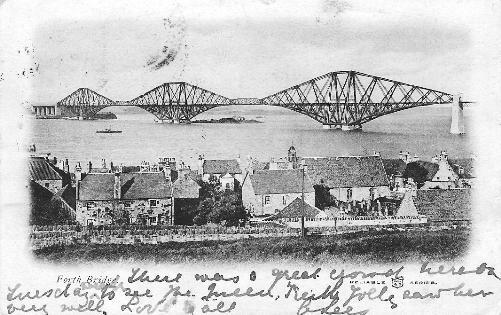 It is located on the east coast of Scotland, near the Firth of Forth and is described as being in both the Central Belt and the South-East of the country. Given its importance, you would think that Edinburgh would have a high-speed motorway connection with London. It doesn't. This is a sad reflection on the London government's neglect of the UK's regions over many decades. The main road south is the A1 which is gradually being given dual carriageway or motorway status in a piecemeal fashion. There are still dangerous, slow stretches of single carriageway of the road north of Newcastle. An alternative to the A1 is to take one of the other A class roads that leave Edinburgh like the spokes of a wheel and enjoy driving through largely open country until you reach the M74 (M6 in England) or the A1 south of Berwick. Edinburgh and Glasgow are connected by the dual carriageway M8 (another route to the M74), while the M9 takes you to Perth. The M90/A9 is the main route north across the new Queensferry Bridge. You should note that parking in central Edinburgh can be expensive and the city is somewhat congested at rush hour times. Most people will not require a car for Edinburgh itself as the buses are good and most of the main tourist attractions are within relatively easy walking distance. Ideas for a congestion charge on entry to Edinburgh appear to have been shelved for the moment after a negative response in a city referendum. 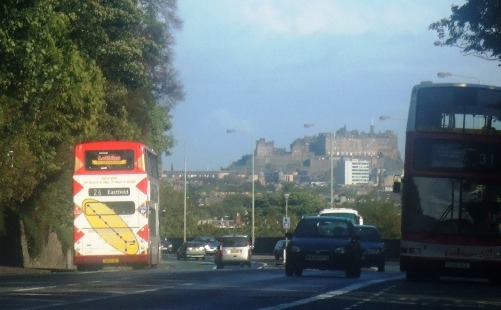 Like all major UK cities, Edinburgh is served by inter-connecting coach services to its central bus station from destinations as far apart as Wick and Plymouth. Edinburgh airport is comparatively near the city and is currently served by a regular good-value Airbus service, taxis and the tram service to central Edinburgh. The airport has been growing constantly for the past two decades - both in passenger numbers, facilities and the range of destinations. Numerous daily flights connect Edinburgh with the various London, UK regional and continental airports, mainly provided by Easyjet, Ryanair, Flybe, KLM and British Airways. Direct flights to the Middle East and North America have been introduced, increasing the range of worldwide possibilities. Flybe links to Cardiff - a useful hub for Wales, the English Midlands and the West Country. In fact, the regional connections are so good that overseas travellers can consider a multi-destination vacation in the British Isles including, for example, any combination of the capital cities: Belfast, Cardiff, Dublin, Edinburgh and London. Rail has been compared unfavourably in comparison with air on a number of occasions - typically in respect of cost and journey times. Out of fairness, you should remember the need to get to an airport and the sometimes lengthy check-in times. A one hour flight can be a total of 4 hours or more in real travelling time.